This January 1, 209, take the KING PB Challenge, it's fun, easy, and makes a huge impact to our planet and your health!
" Heart Disease is the #1 killer in the USA in men and women and with so many cardiologists recommending a plant-based diet to prevent and reverse heart disease, I've decided to step up to the KING PB-Challenge! If you are challenged you must "veganize" one meal within 24 hours. That means no products from an animal including honey, milk, butter, eggs, or meat. Check out your local grocery store for great Plant-based alternatives to all those products and more! Get creative, search some websites, share your recipe, pictures or videos and tag 5 more friends who should be up for the challenge! See how delicious it is get healthy and add plant-base options to your menu. All funds raised from this challenge will go to KING Charter, a school pioneering heart healthy education for children and future generations. So tag, share and go green to save the planet and each other! If you refuse the challenge, #kingpbchallenge "
These are health opportunities we want to give to children, who otherwise would likely be left to become consumers of food-industry mandated food misconceptions and ill health. Let's start helping children succeed by providing them with honest research and information that will help them make healthy decisions in their future. 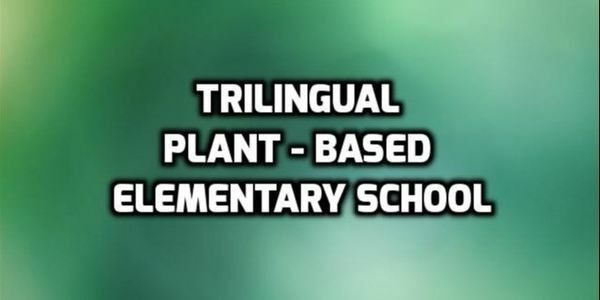 Please be sure to share KING plant-based trilingual school petition to your facebook wall and get any family, friends to sign the petition. This small amount of effort can really help us. It takes a moment, please make it a priority! We are over 400 signatures total, help us get to 1000 if we all join in. We healthy, plant-based foods and we want better education, now help us get it done! It takes a village to raise a child, help be the village for all these kids to come! SHARE, SHARE SHARE!